Our paper traces the development of Yiddish poet Abraham Sutzkever's imaginative engagement with the Polish Romantic Cyprian Norwid. Sutzkever expressed a strong affinity with Norway in his youth due to commonalities in their artistic vision. He also saw in this poetic dialogue a means to transcend the crisis in Polish-Jewish relations. In order to demonstrate the aesthetic and political stakes of this relationship, we discuss Sutzkever's early poem "Cyprian Norwid" and his translations of Polish poetry into Yiddish in 1930s. It has previously been assumed by scholars that Sutzkever's postwar poem "Tsu Poyln" (To Poland) marked a definitive break with Polish literary culture. However, as we show, Sutzkever continued to be influenced by Norwid through his period of poetic maturation. Many of Sutzkever's postwar poems are framed as subtle responses to Norwid's—commenting and expanding upon the latter's philosophical and aesthetic responses to Polish history. As an indelible representation of human fragility and transitoriness, art constitutes, for Sutzkever, the best response he can give to the losses and tragedies which he witnessed. © 2007 by Prooftexts Ltd.
Cammy, Justin and Fliglerowicz, Marta, "Translating History Into Art: The Influences of Cyprian Kamil Norwid in Avrom Sutzkever’s Poetry" (2007). 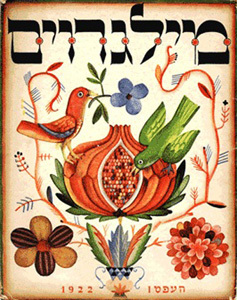 Jewish Studies: Faculty Publications, Smith College, Northampton, MA.